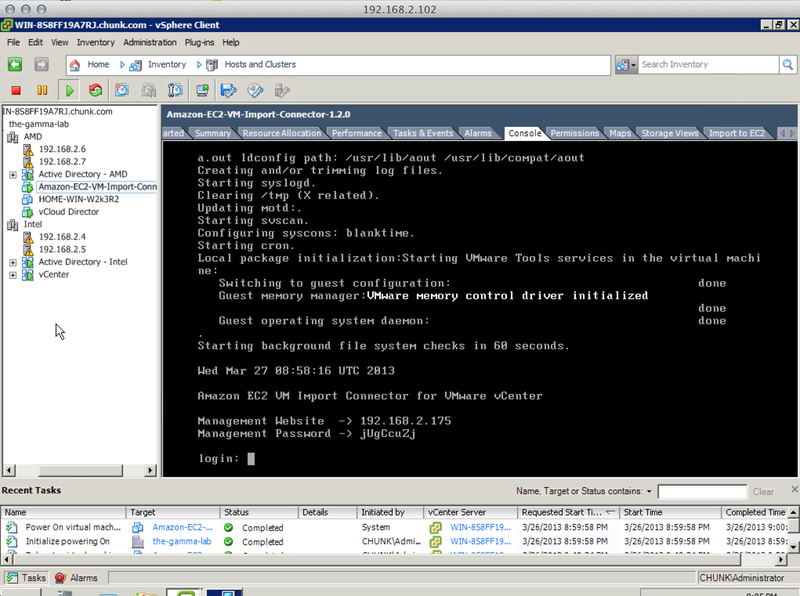 Ah, the joys of revisiting a complex configuration that you haven’t touched in 6 months… Few things can match it! 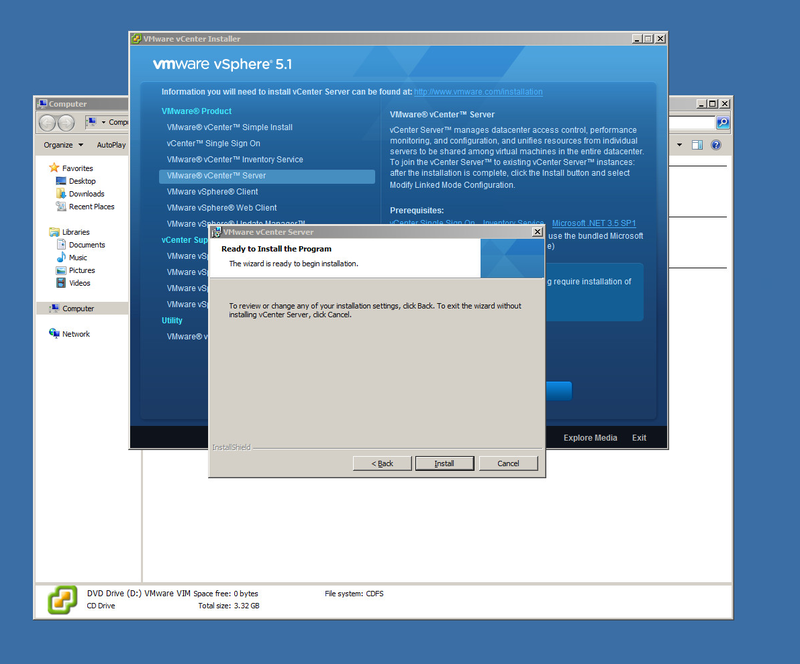 It was sobering to realize I had no clue what state I really left my vCenter in the last time I powered it down. 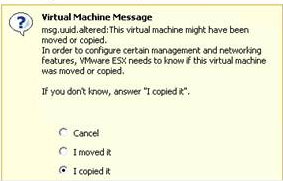 Given the types of things I generally test, I definitely should start keeping a log (and maybe using the “passwords on Post Its” method favored by end users the world over!) 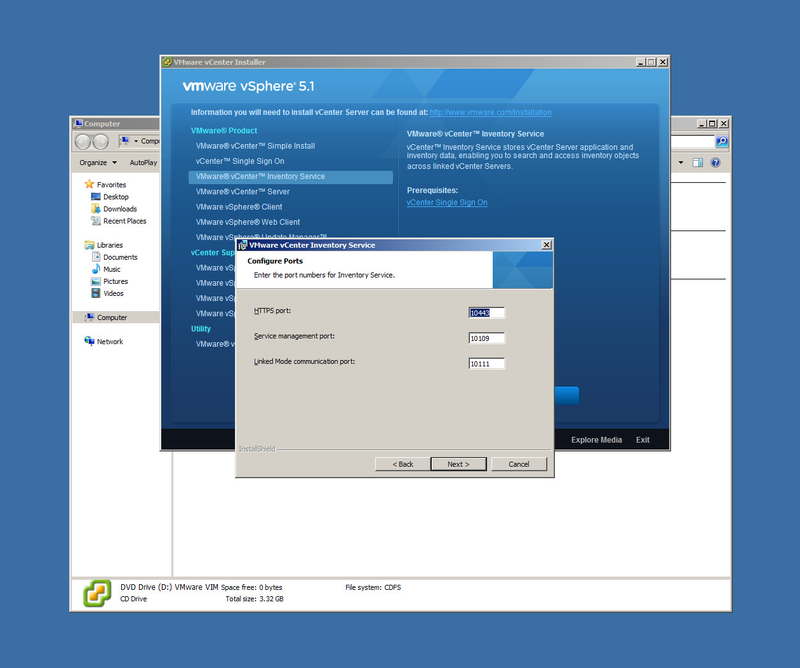 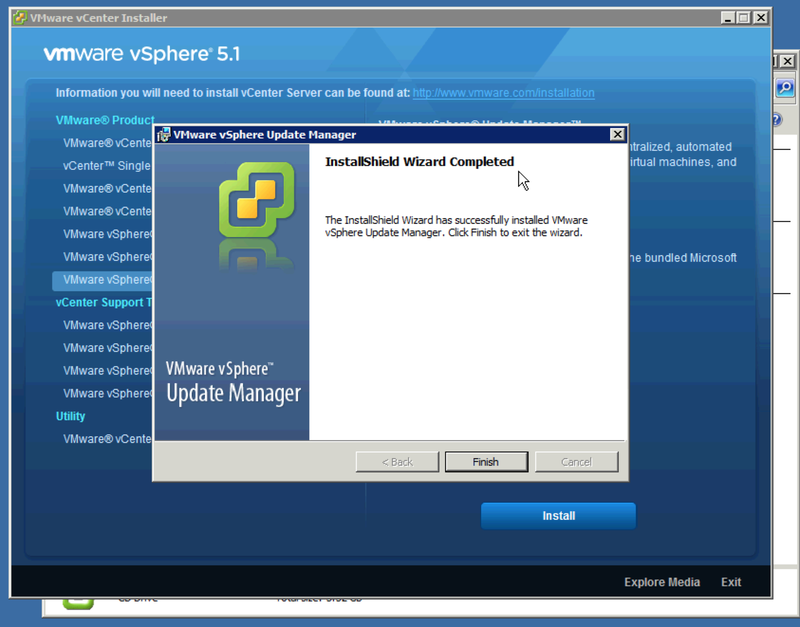 Since I couldn’t locate my ESXi 5 DVD for some reason, I decided to download 5.1, install it on the new hosts, upgrade the old hosts and then tackle a vCenter upgrade and see what happened from both a licensing and technical standpoint. 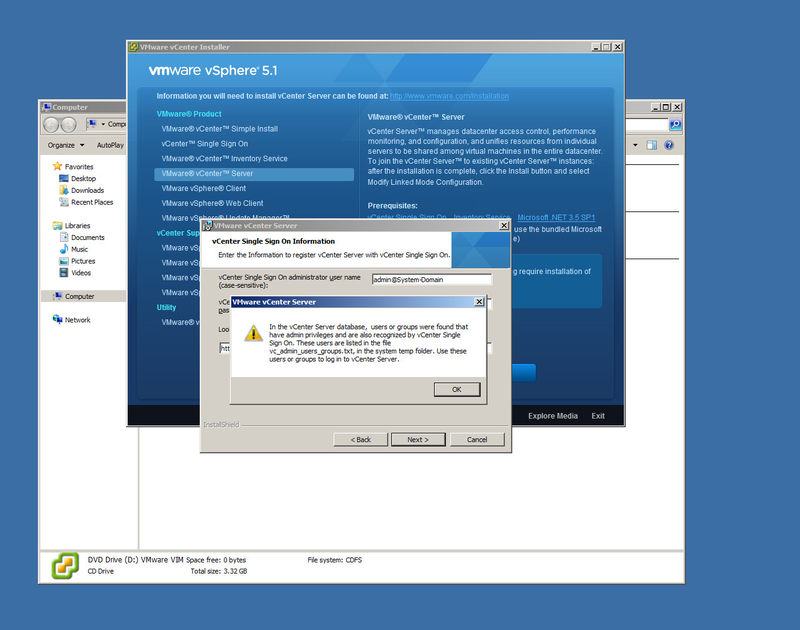 Sure you can do a bunch of research on Google and get a sense of how things would go, but there is no substitute for breaking your lab badly when it comes to really learning what to do (and not to do) for major upgrades. 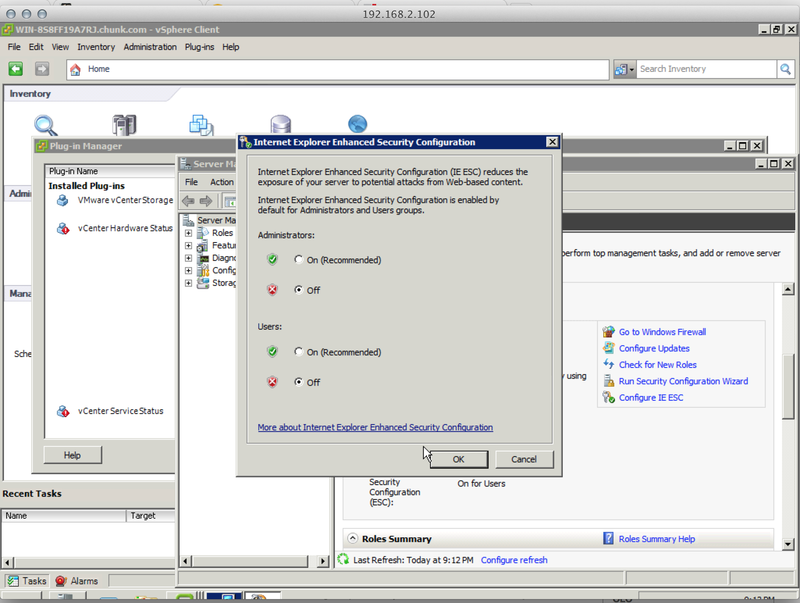 More evidence that the iSCSI update was where I left off. 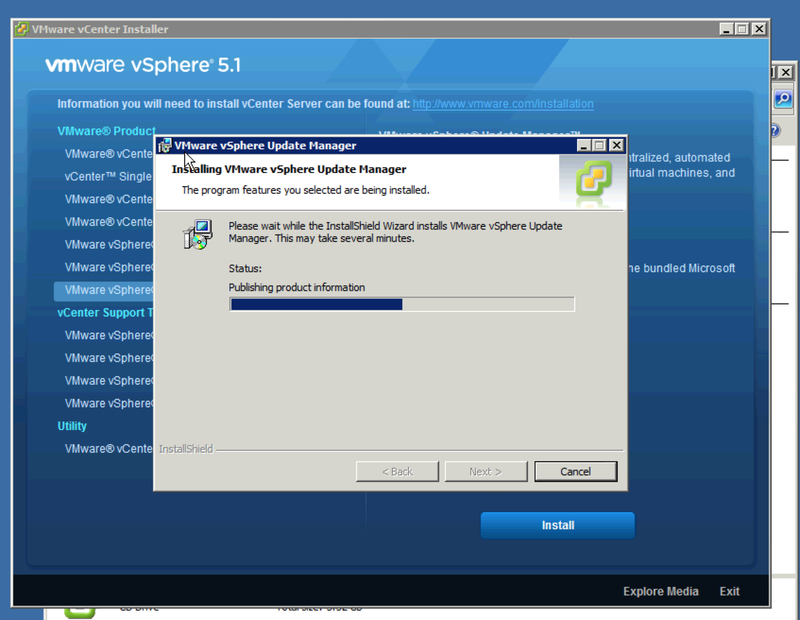 I’m pretty sure I had moved the guests over so I went with that and proceeded to start up Windows. 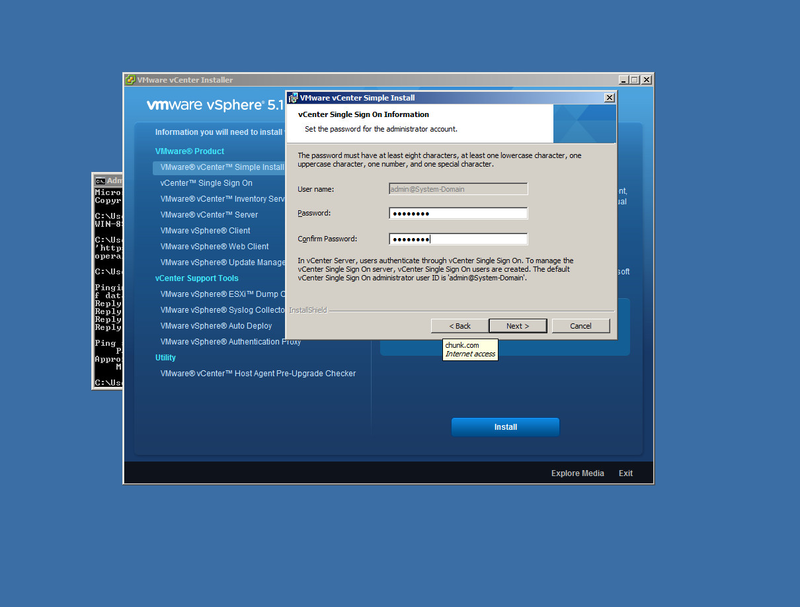 It took about 100 tries to remember what I had set the password to, but I got in and started the grueling process of bringing a Windows system that has spent half a year offline up to date! 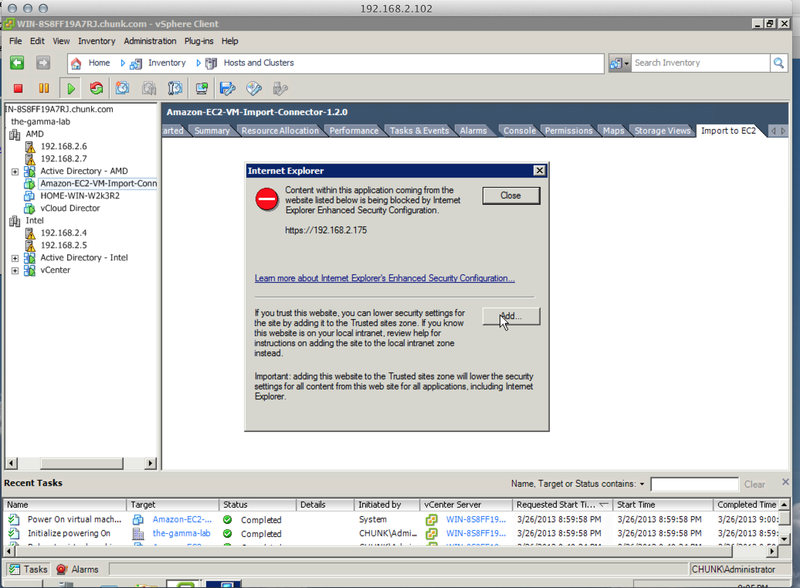 32 updates and a reboot later and AD was back online and looking generally healthy. 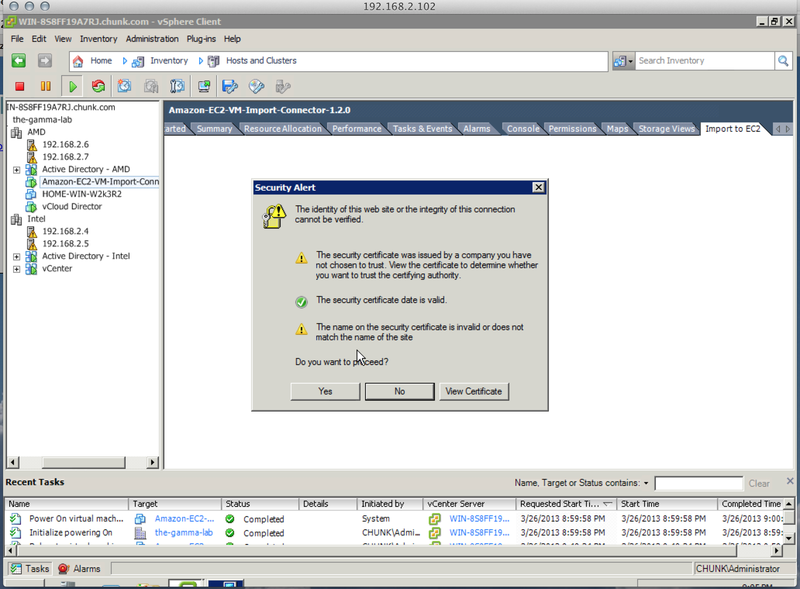 The second DC was in the same shape obviously, so a repeat of the entire thing was necessary once DC1 was back online. 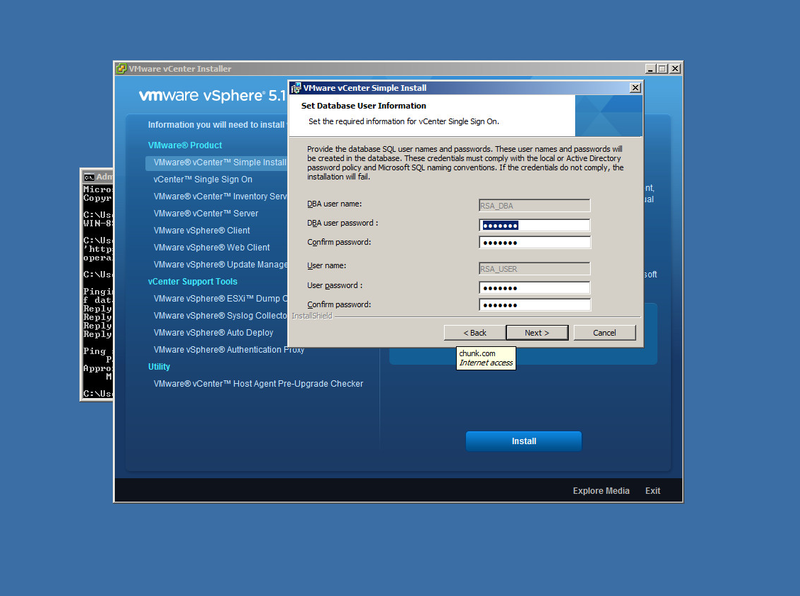 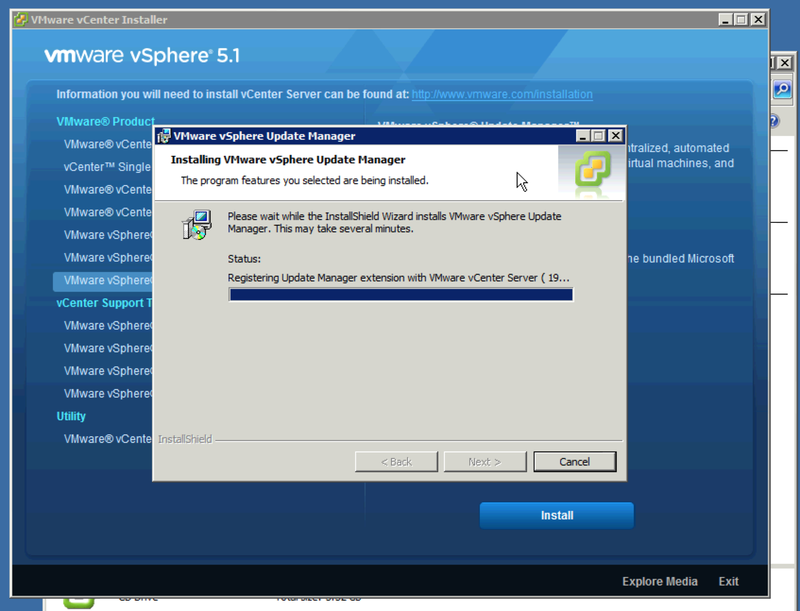 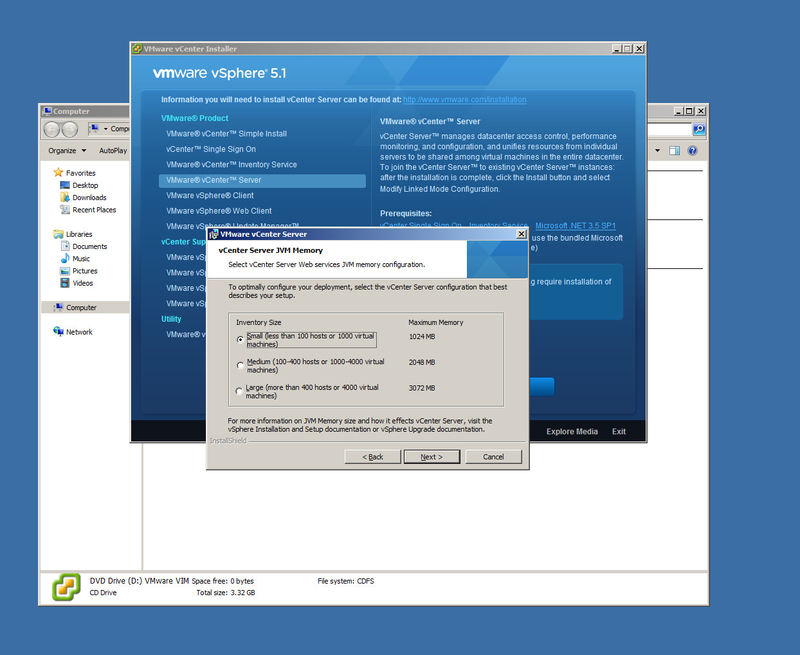 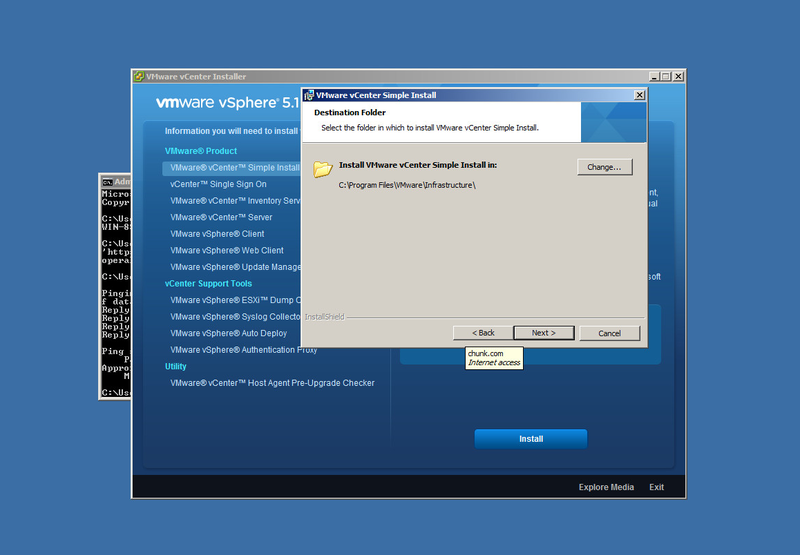 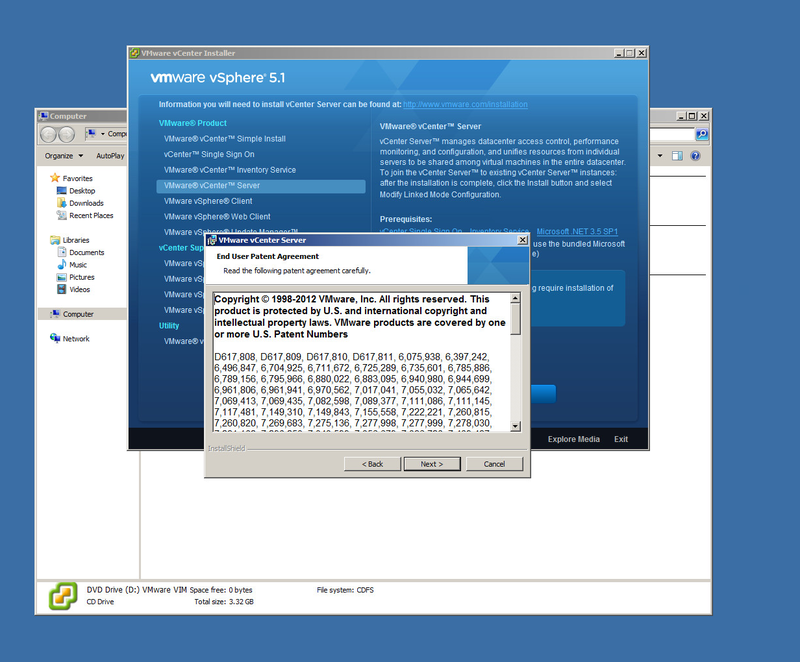 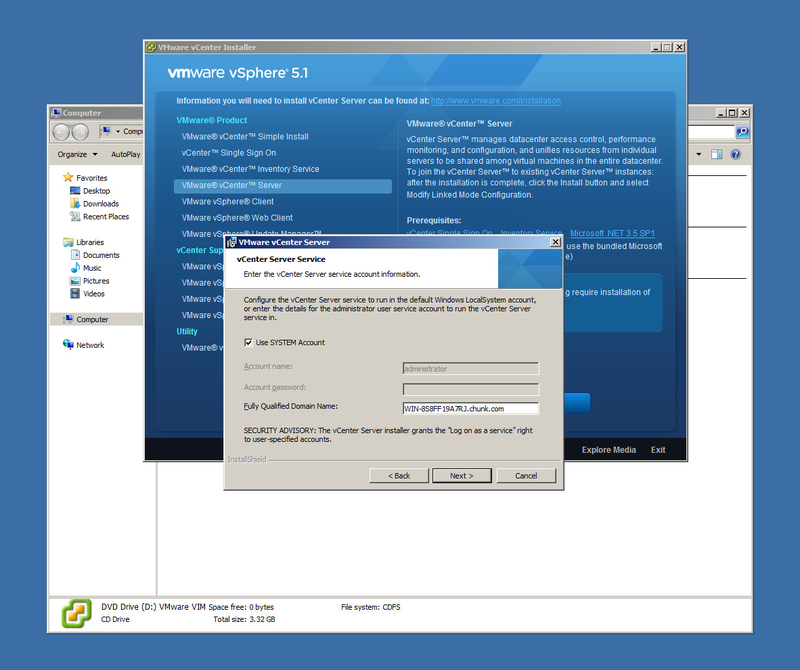 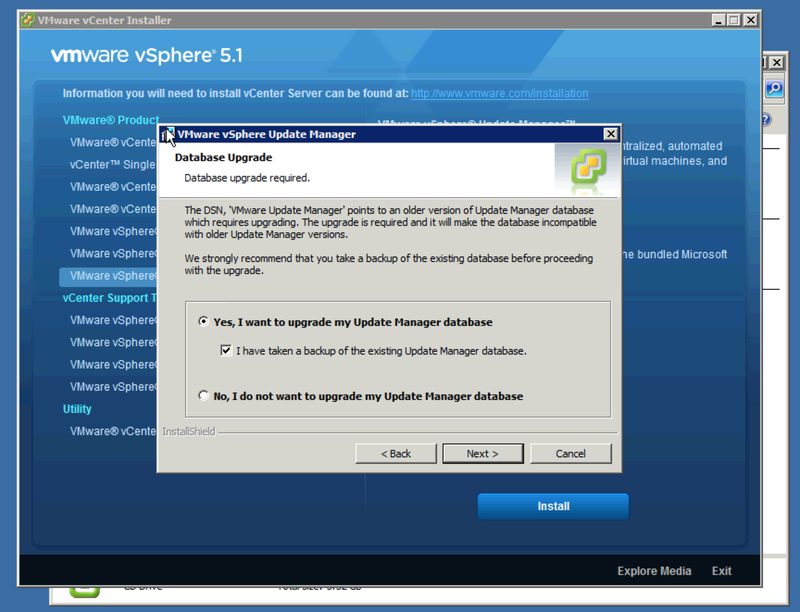 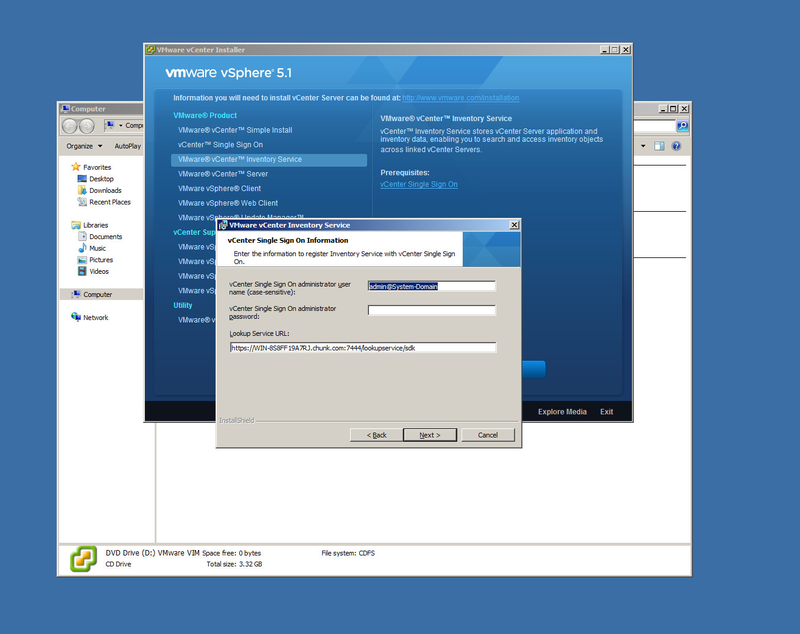 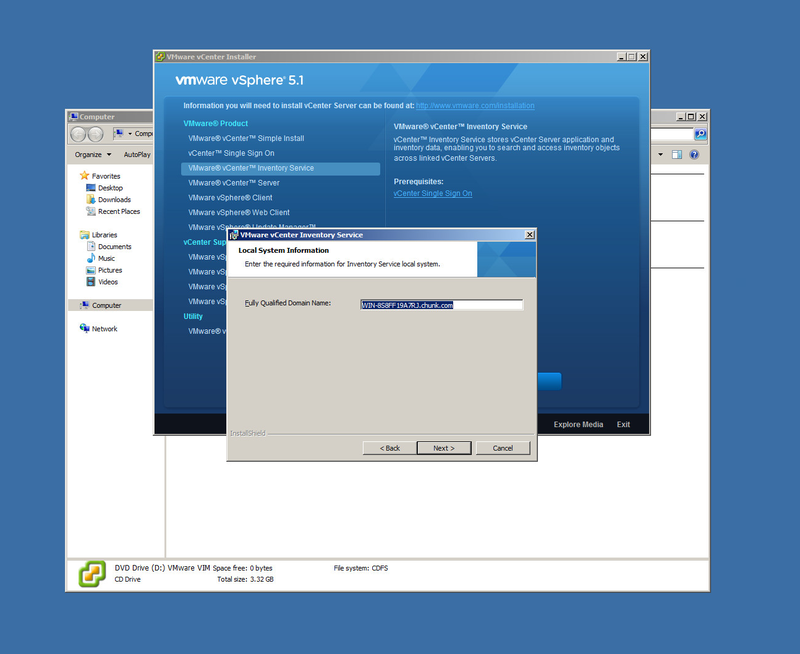 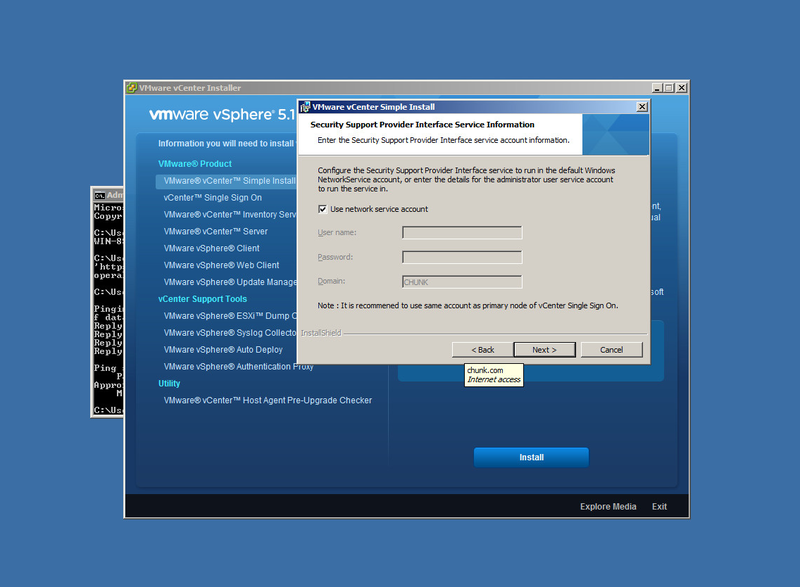 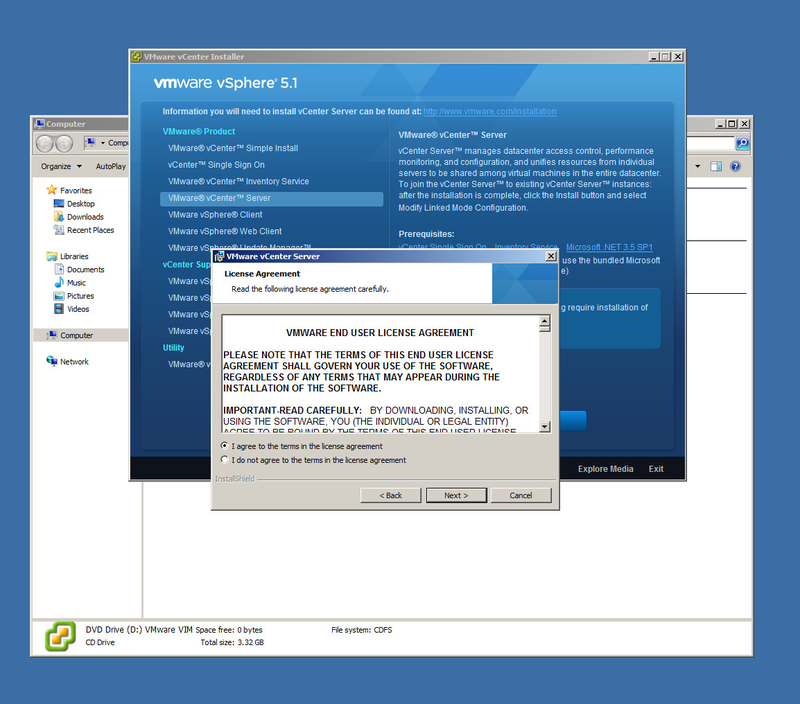 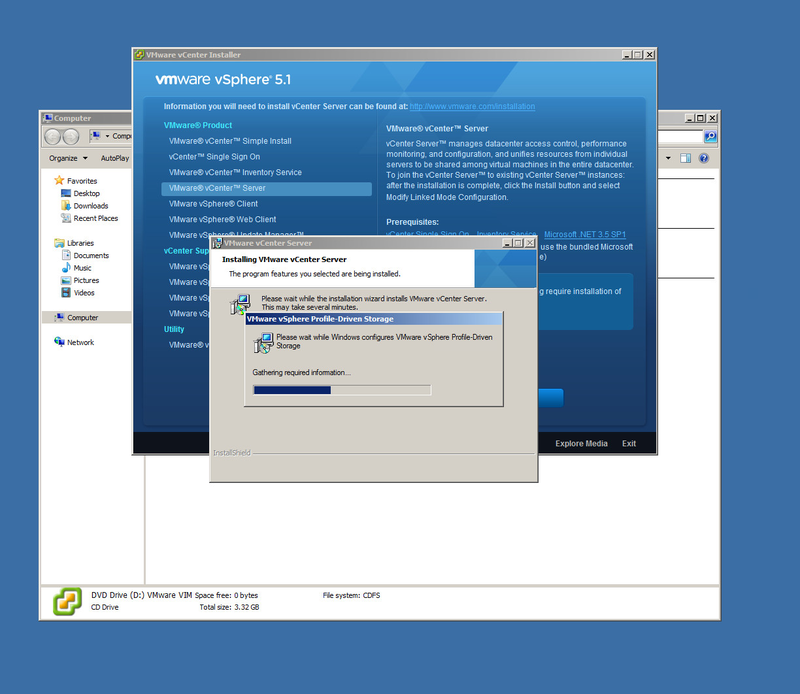 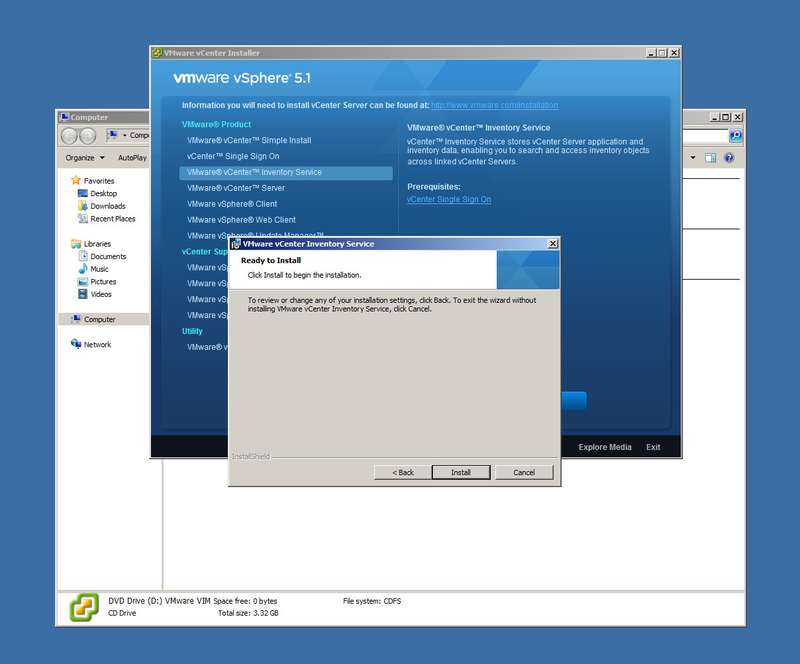 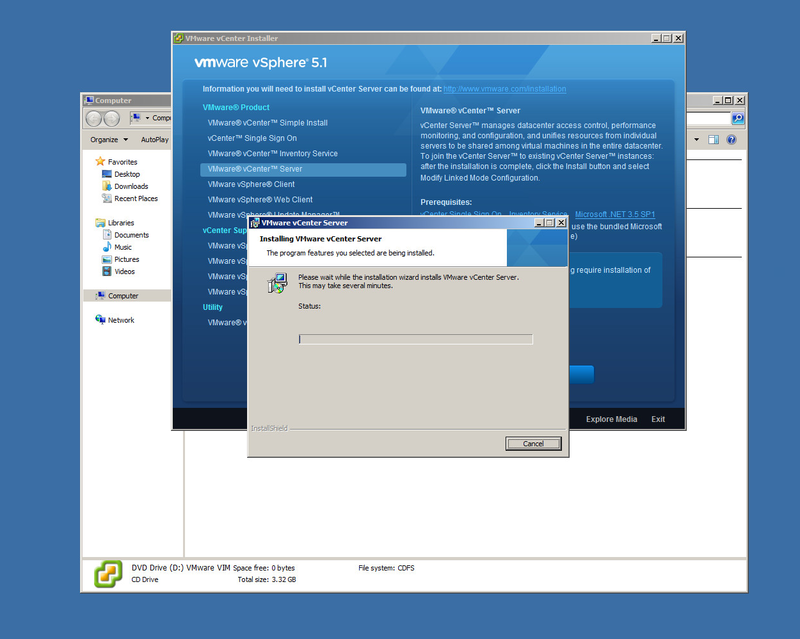 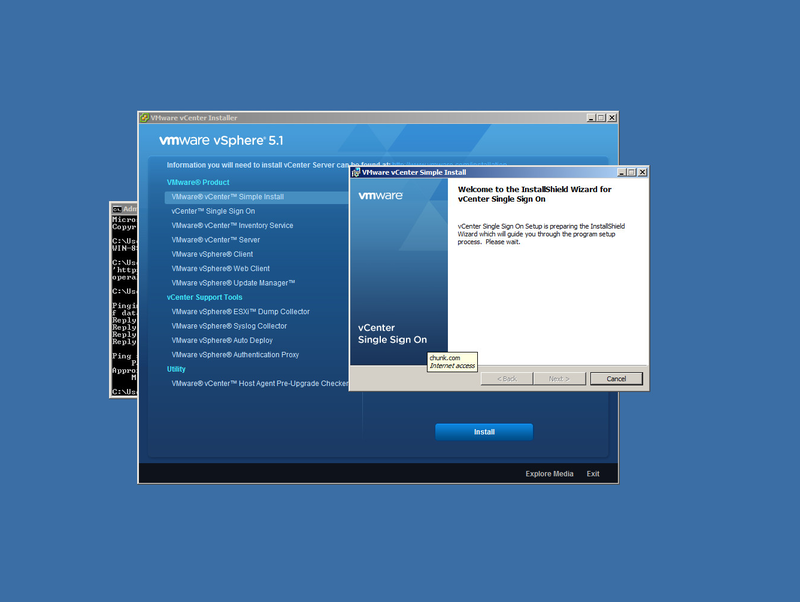 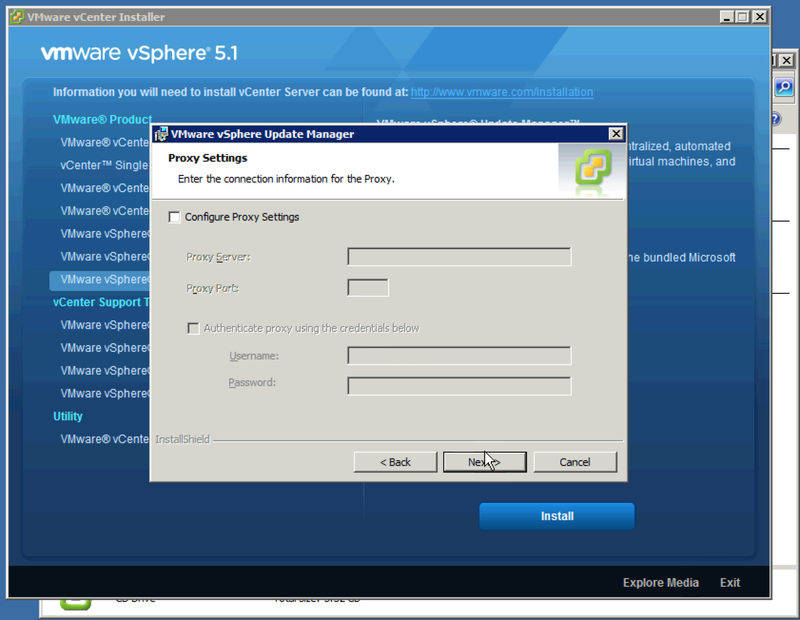 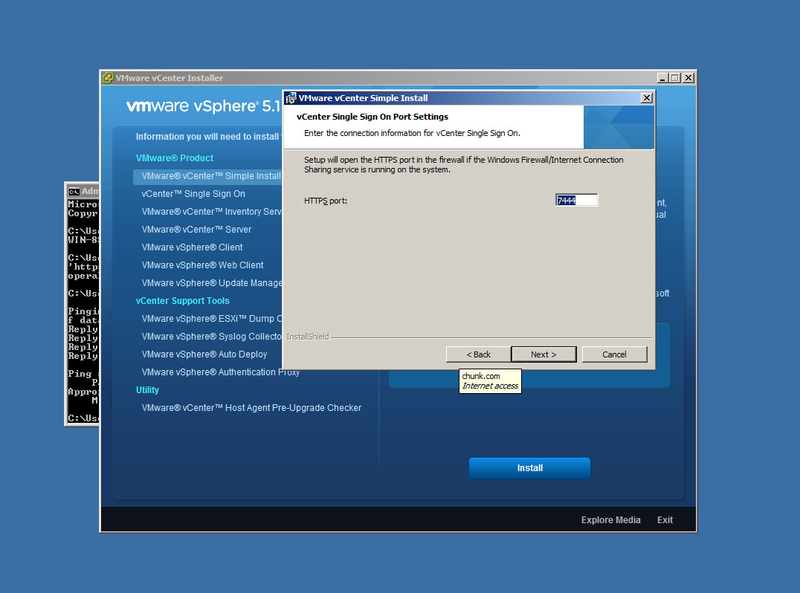 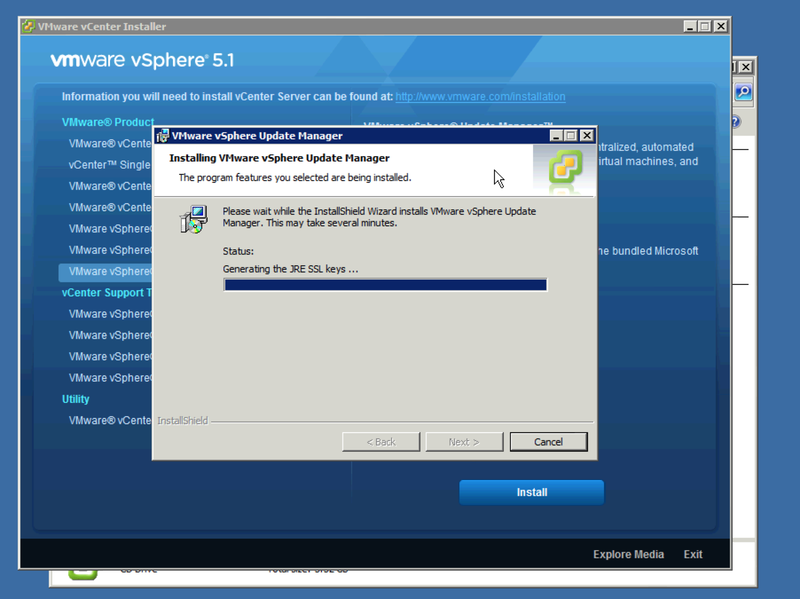 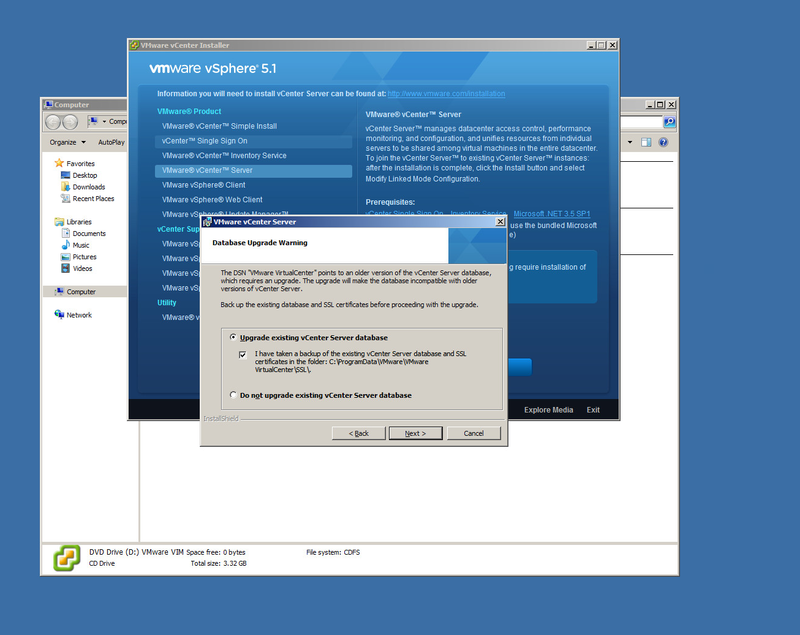 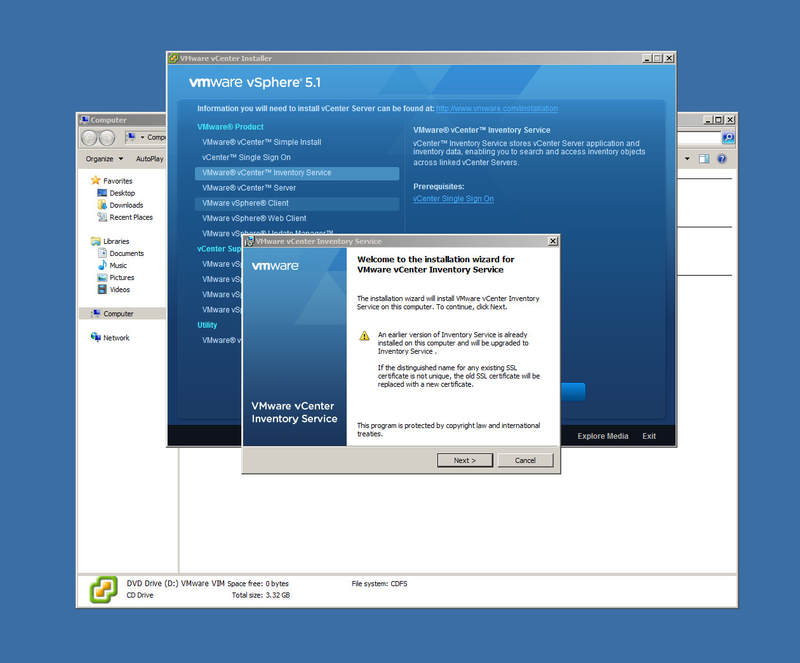 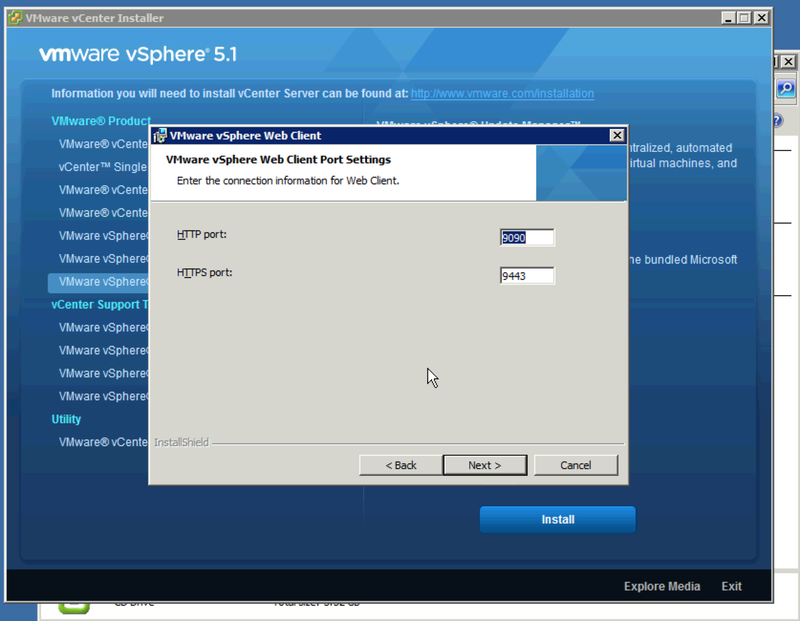 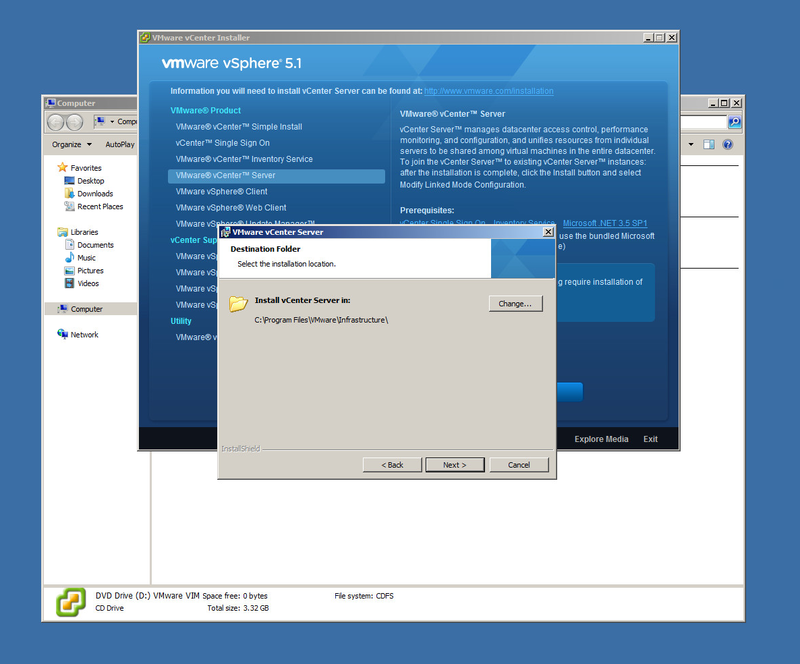 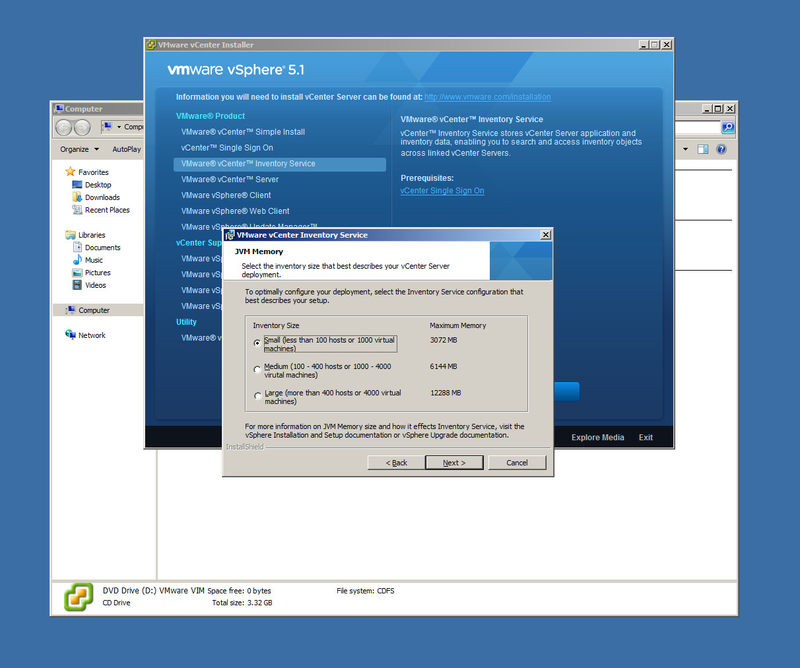 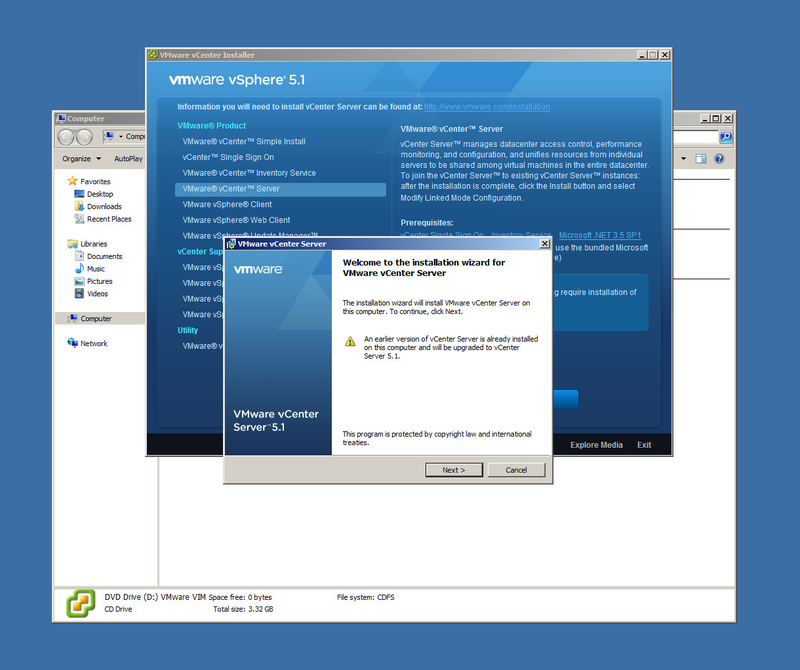 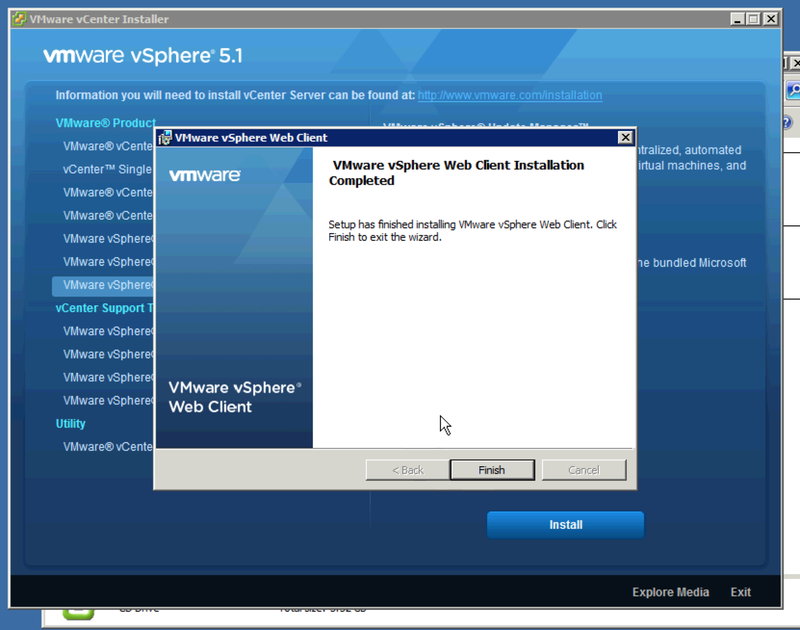 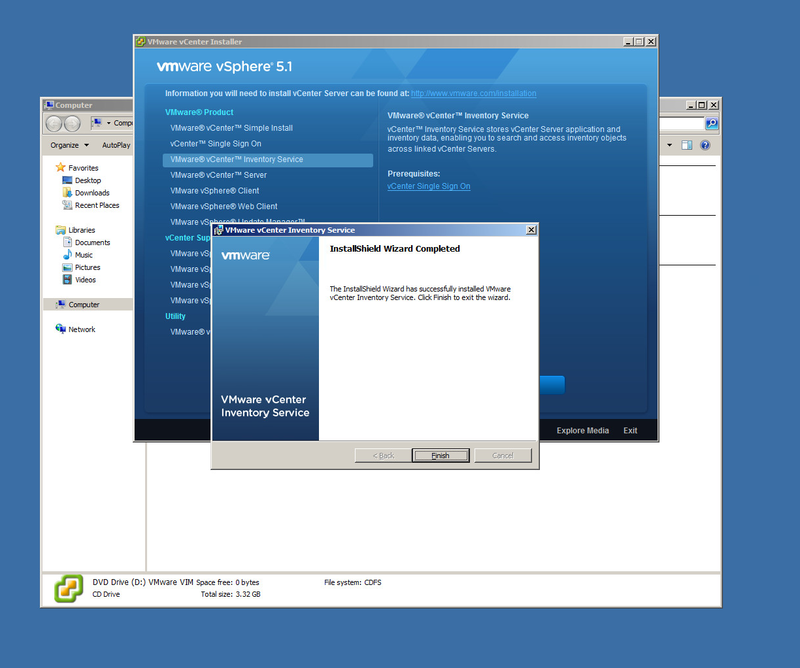 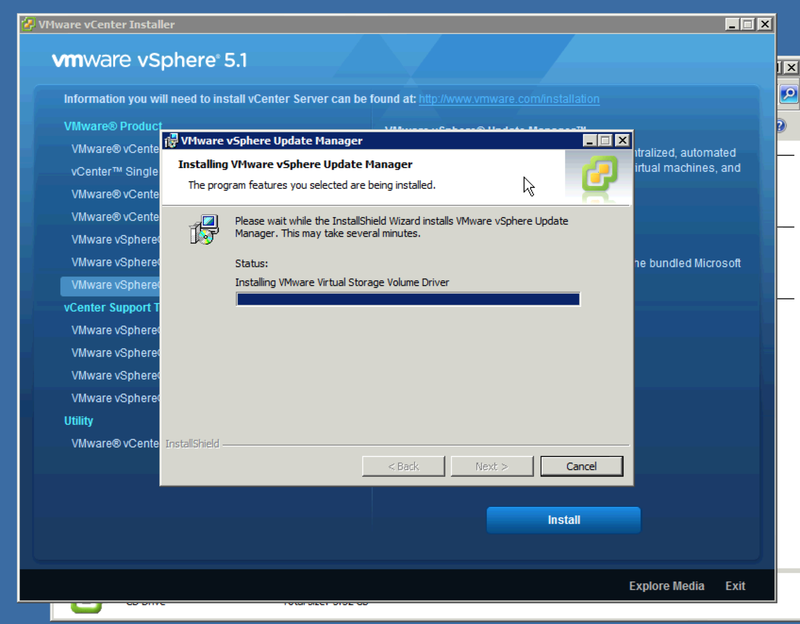 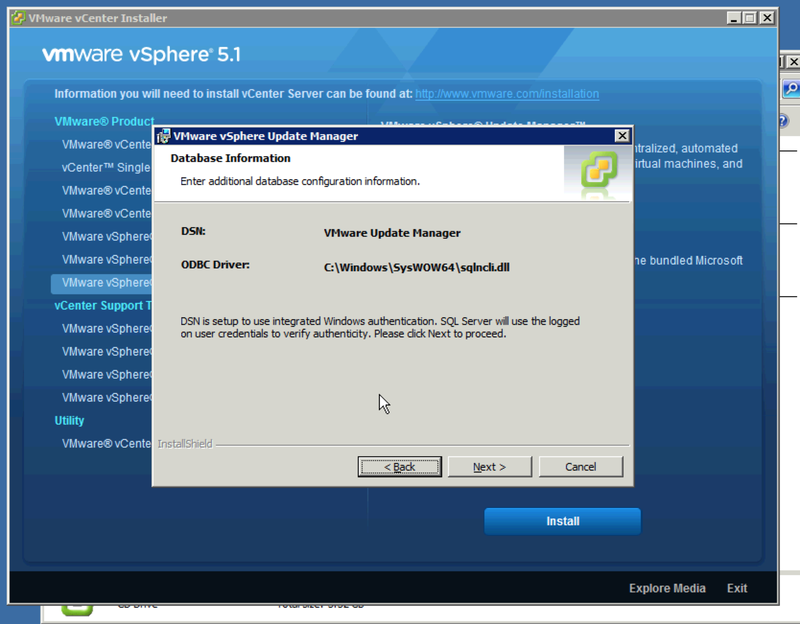 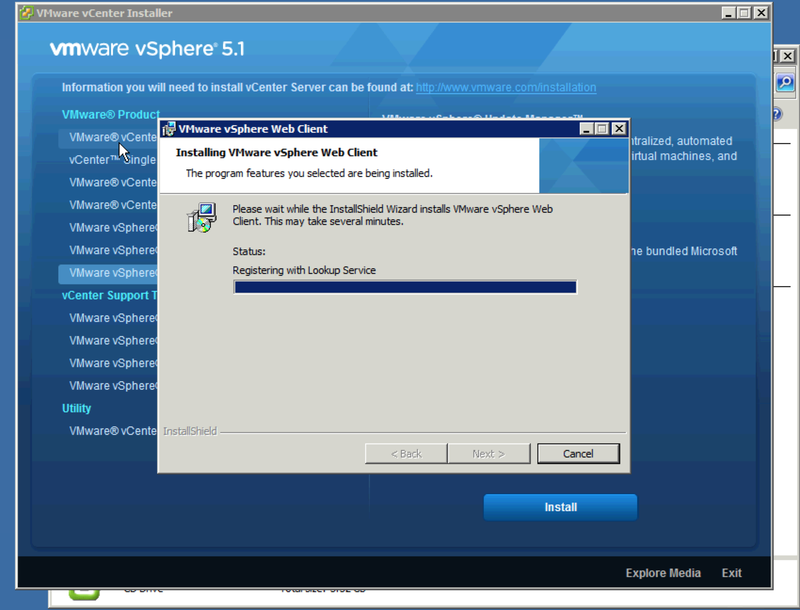 Next, both sets of VMware tools needed to be upgraded to 5.1 since the host version changed. 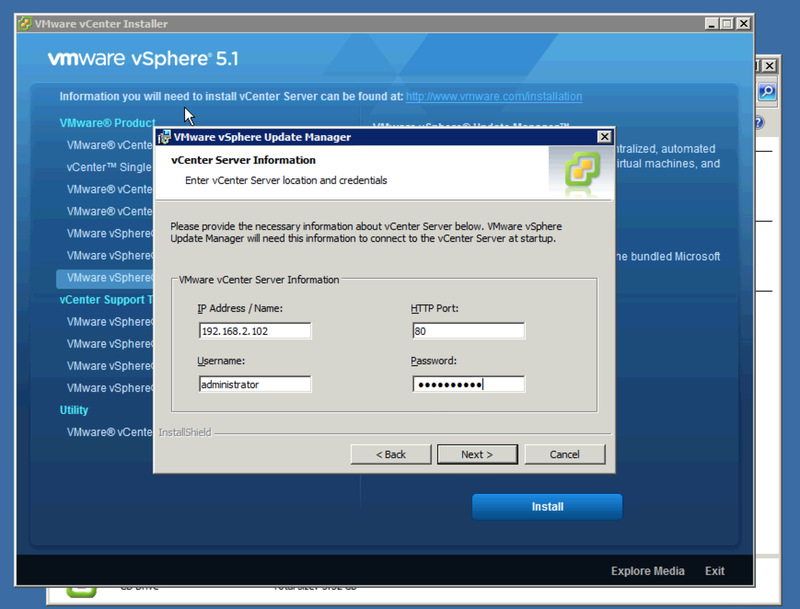 With a healthy AD up and running and up to date, it was time to take a look at the vCenter server. 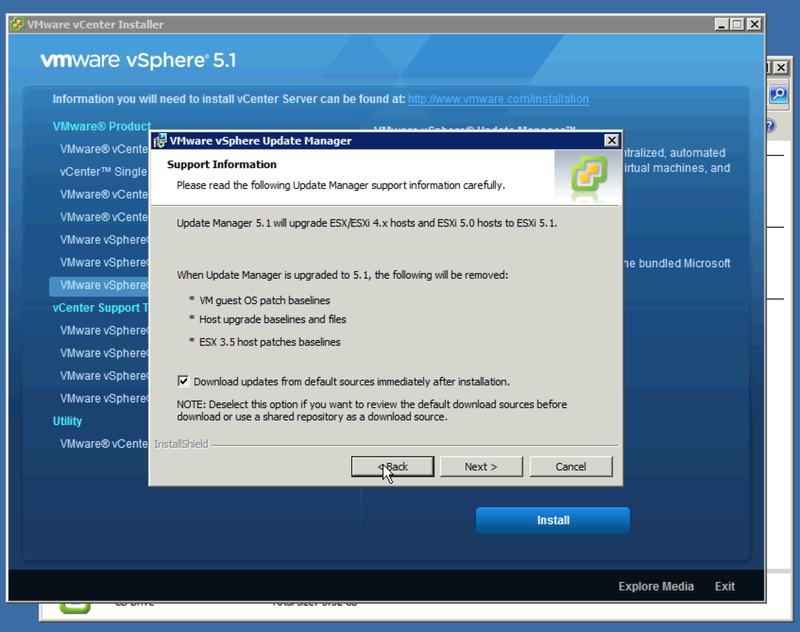 the 5.1 upgrade will break some things – namely VM guest OS patch baselines, host upgrade baseline and files and ESX 3.5 host patches. These items don’t apply to my install so could be safely ignored, but if they do apply, take note as some remediation could be required. 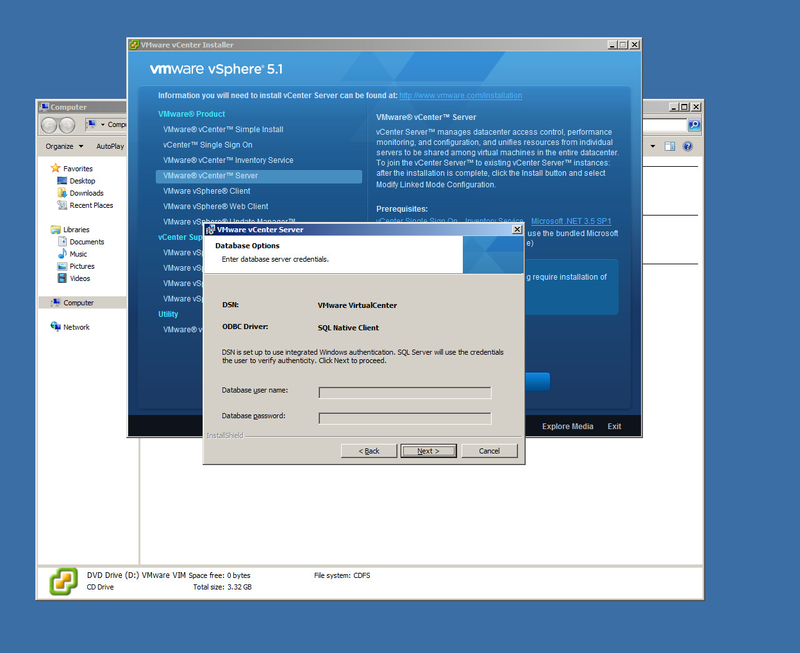 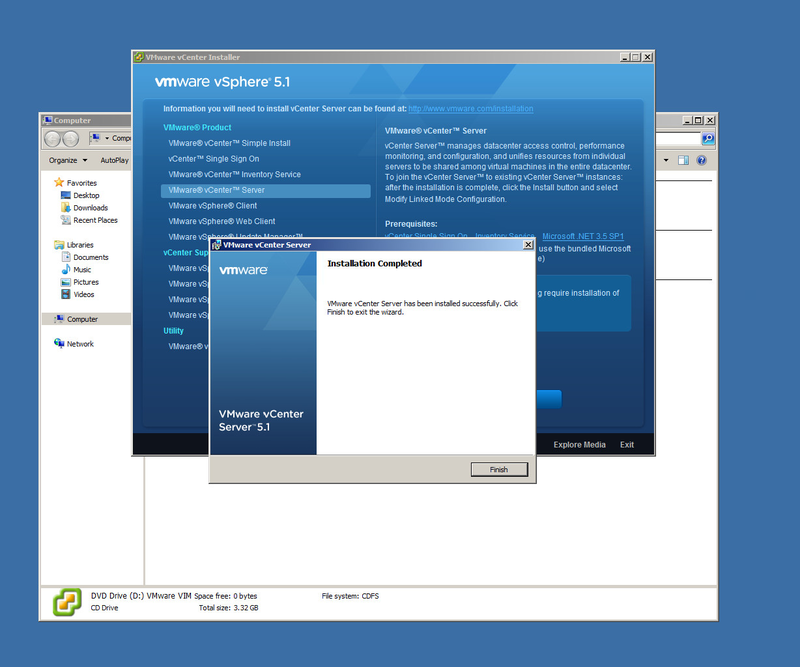 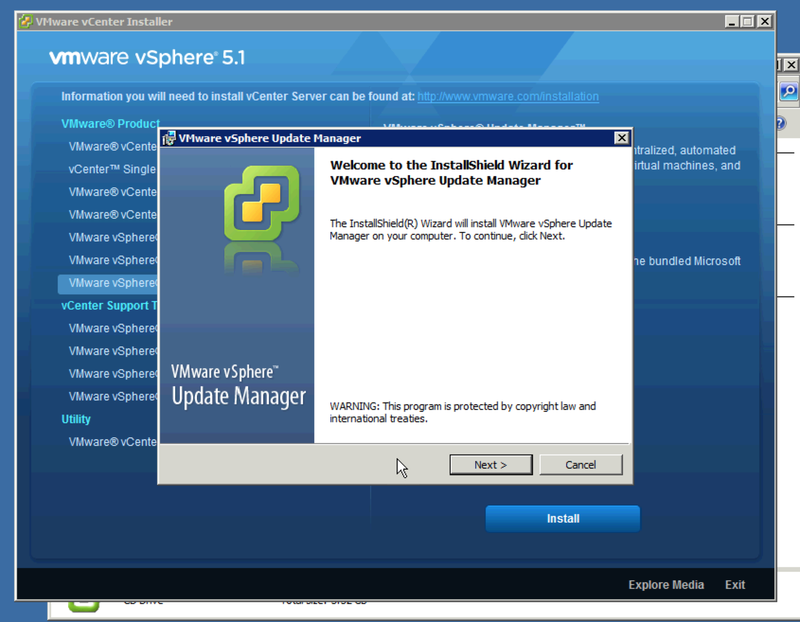 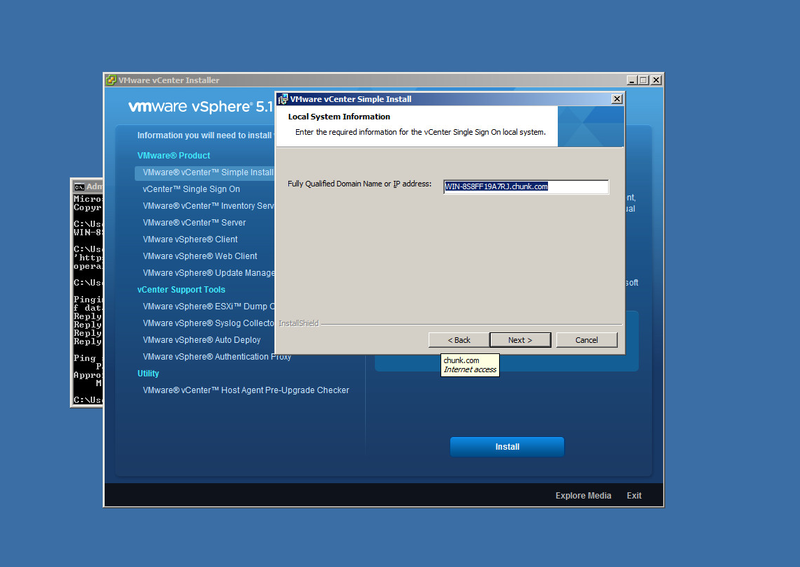 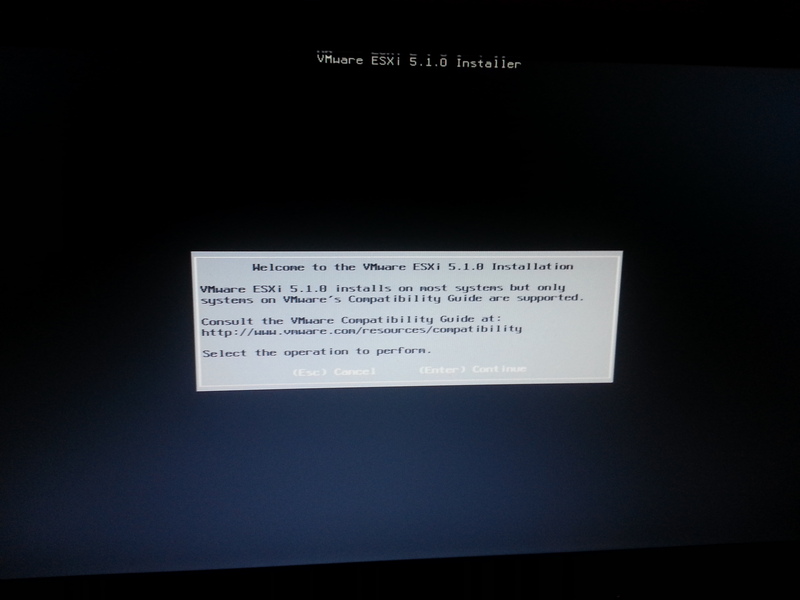 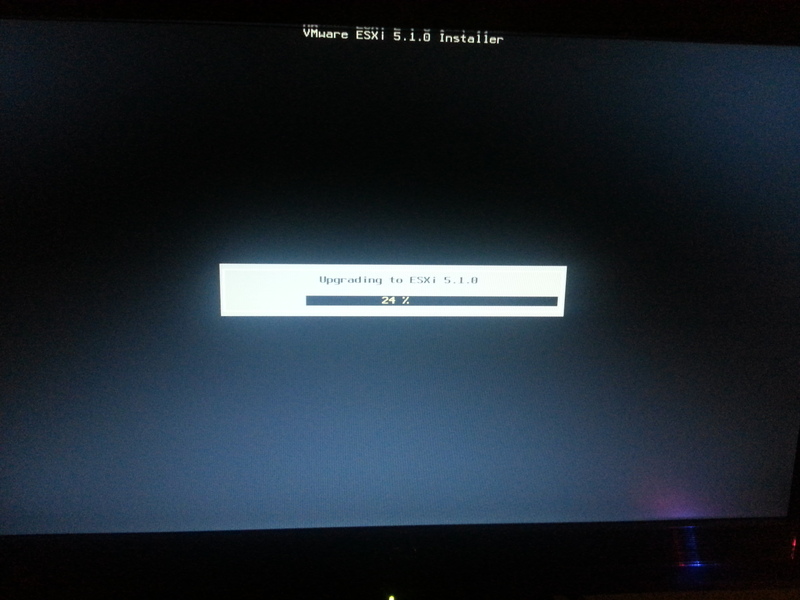 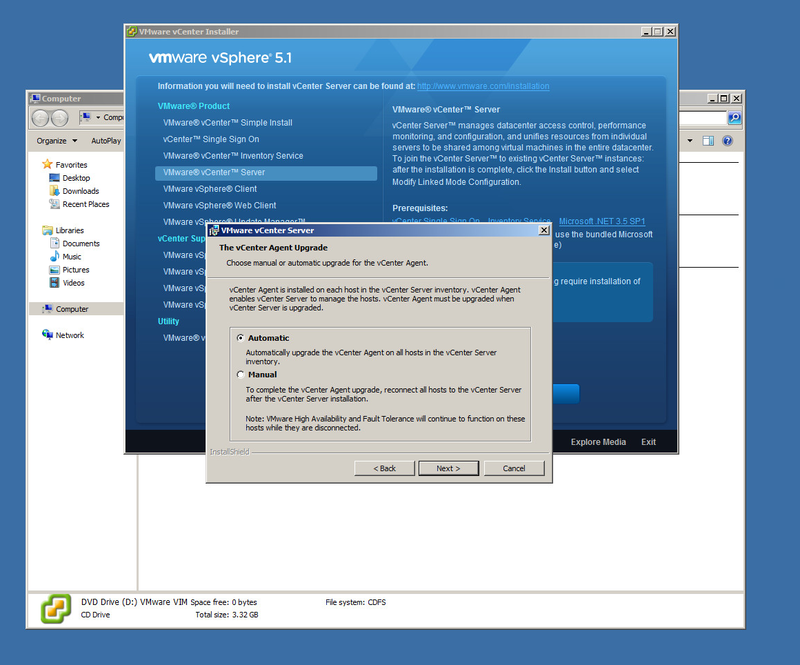 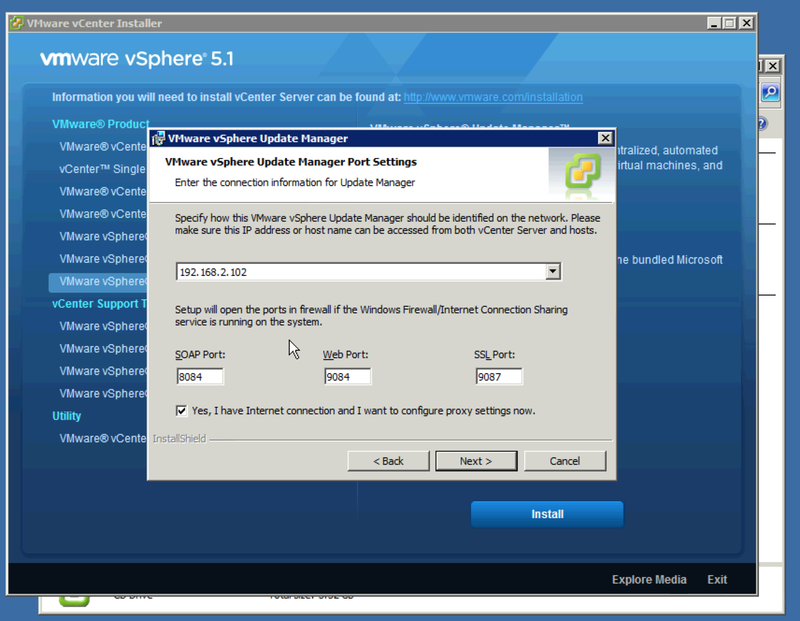 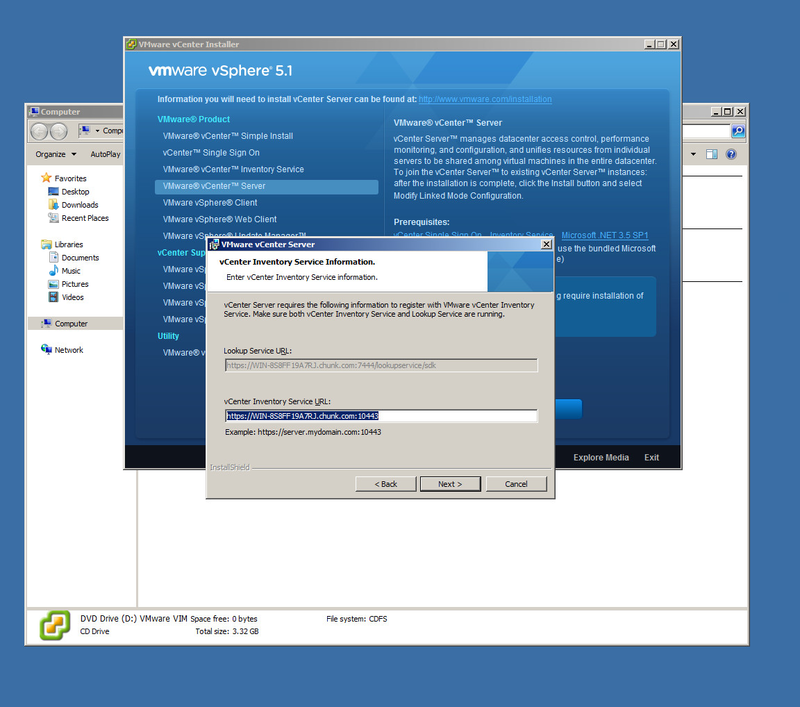 You can also set VUM to immediately download updates from the standard sources after install. 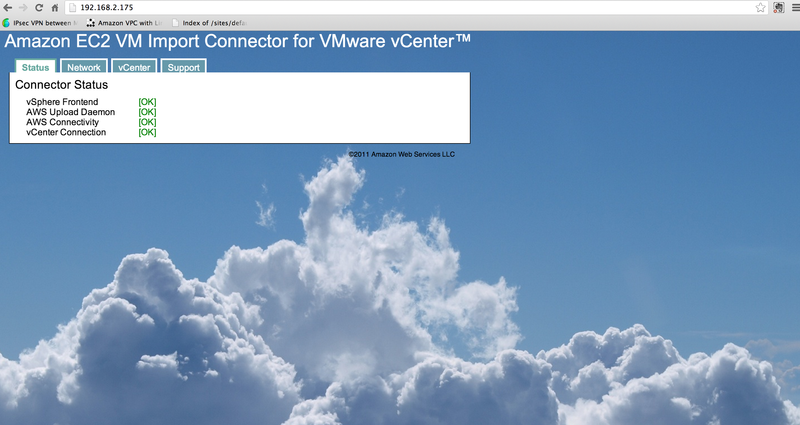 And so the screenshots above tell the sad tale… The AWS EC2 Import Connector for vCenter is incompatible with vCenter 5.1. 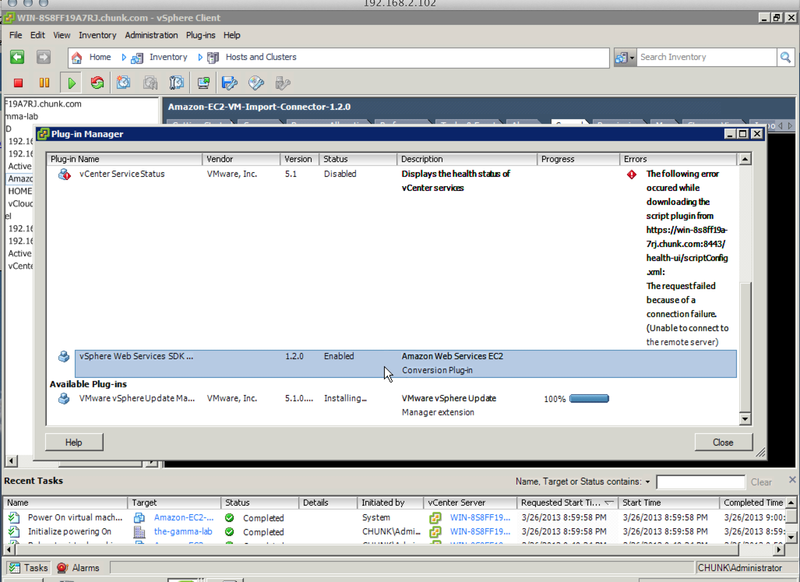 This is confirmed by AWS support here. 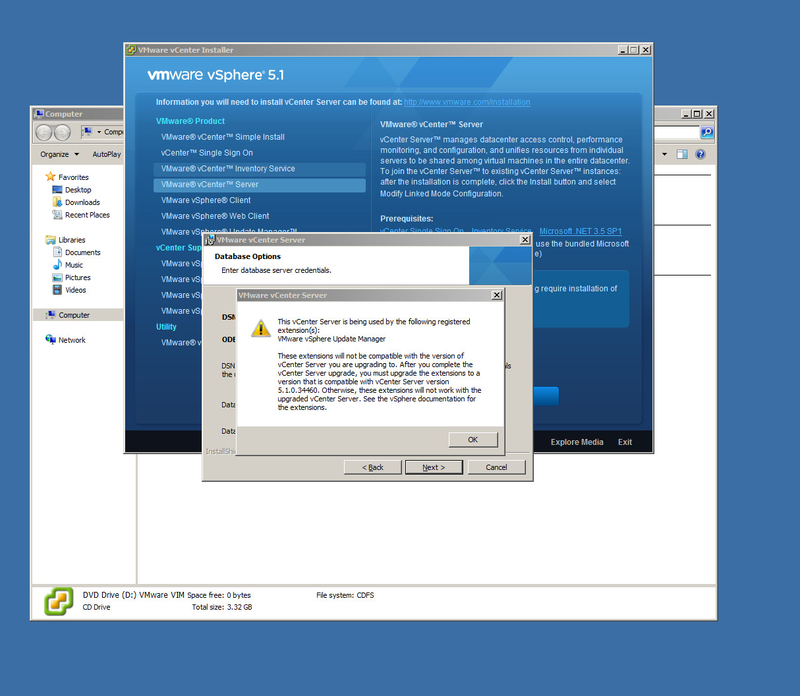 Hopefully this will be fixed soon as the vCenter plug-in is quite handy! 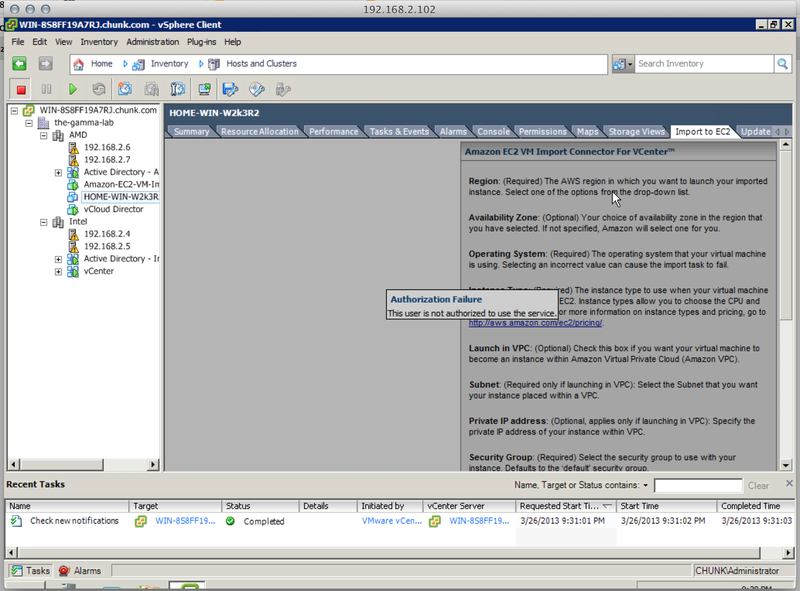 In the meantime, EC2 import can still be accomplished just fine from the command line tools. I will cover the process for that in another entry, but basically it involves converting a VM to OVF (same as with the plugin) and then running the AWS command line tools from either Windows or Linux and importing the VM directly via the API. 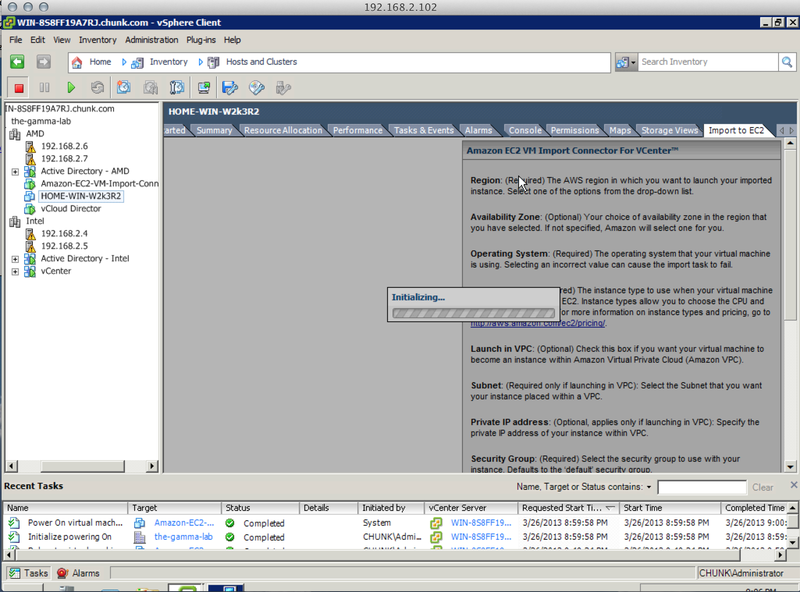 Once the add-on has been reenabled, the “Import to EC2” tab will appear on the view for any VM. 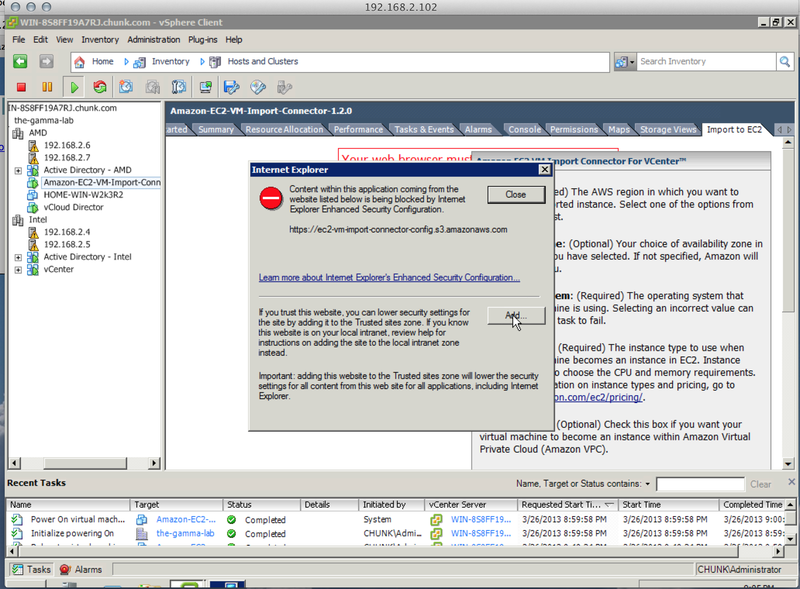 Unfortunately, clicking on this tab will not invoke the EC2 options as it should, but rather will terminate with an “Authorization Failure” after a longer than usual pause. 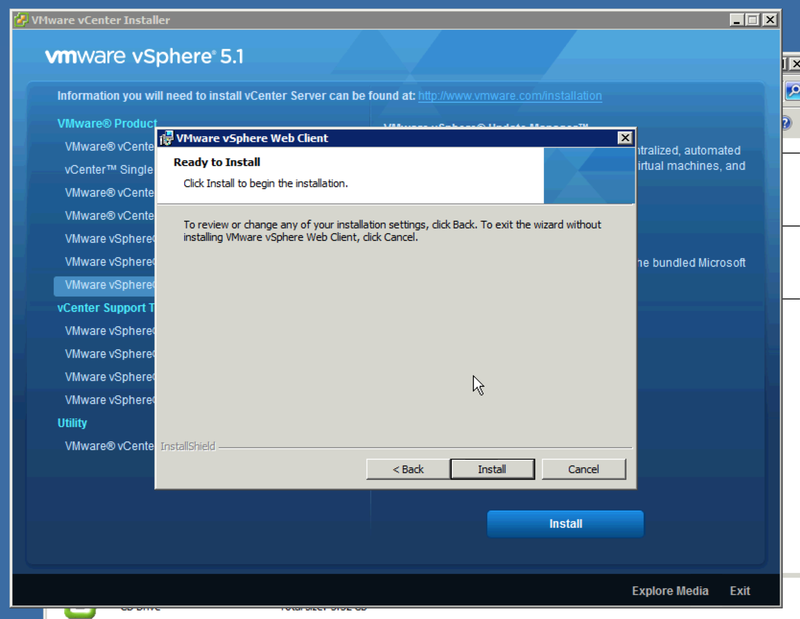 That’s it for now, but stay tuned for the lowdown on reconfiguring vCenter, enabling EVC, migrating to iSCSI and all sorts of other interesting observations!